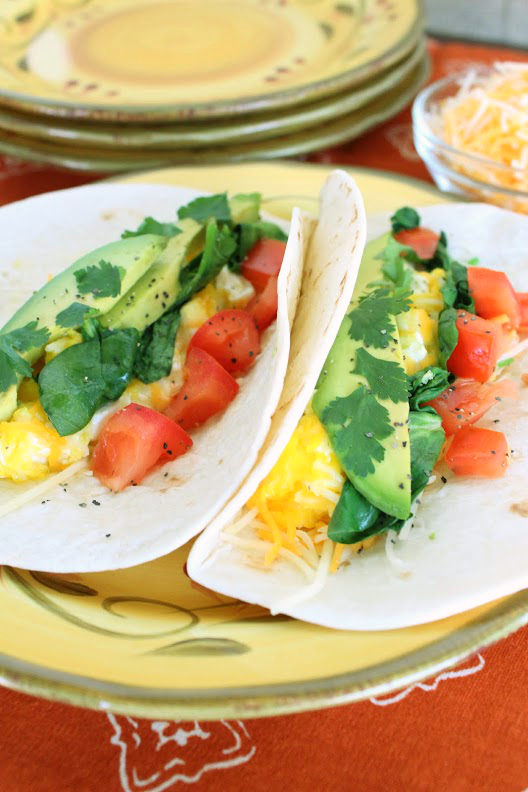 We have all heard before that breakfast is the most important meal of the day and this wilted spinach and avocado breakfast taco makes for a fantastic start! It’s full of veggies and protein to give you that jump start that you need to get moving for the day. It’s easy to make and taste great and is not packed with calories so if your into healthy it’s the perfect way to go! Warm tortillas in microwave for 15 seconds on High. Heat small non-stick skillet over medium high heat, add 1 teaspoon of oil. 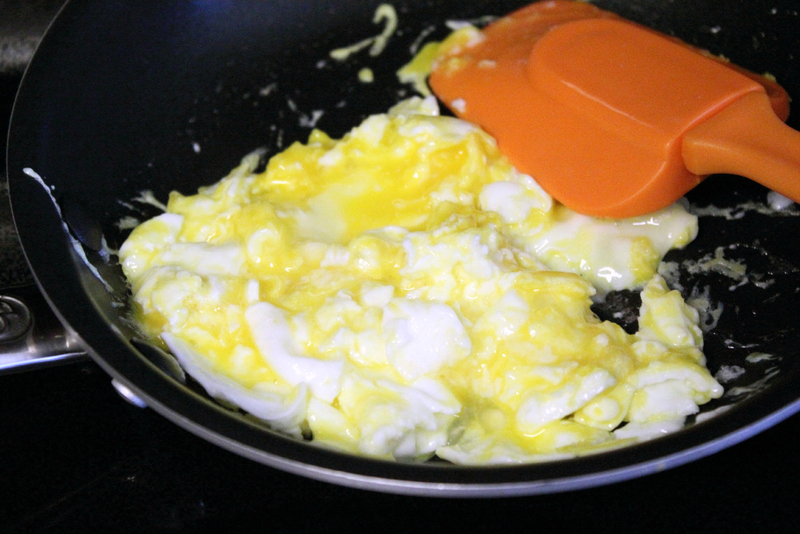 Crack eggs directly into skillet. Reduce heat to medium low. 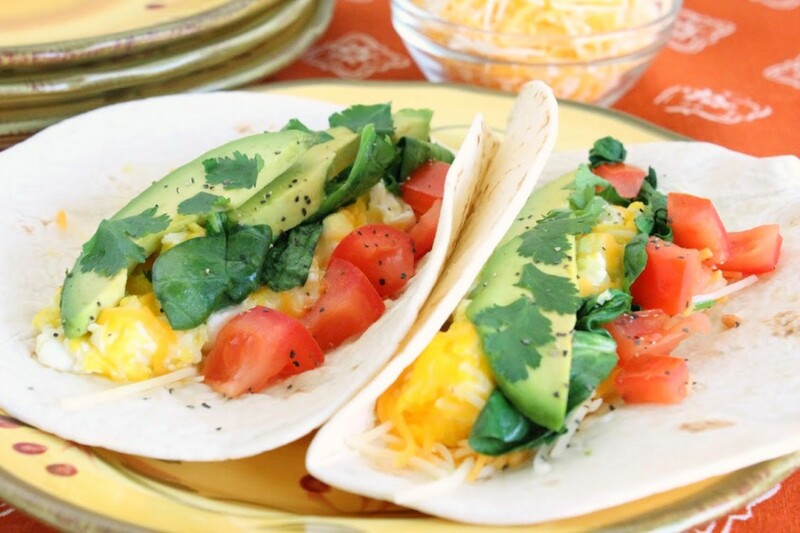 Scramble the whites while trying to leave the yolks intact. When the whites are almost completely set break the yolks and continue to scramble until just set. Eggs should still be moist and shiny. 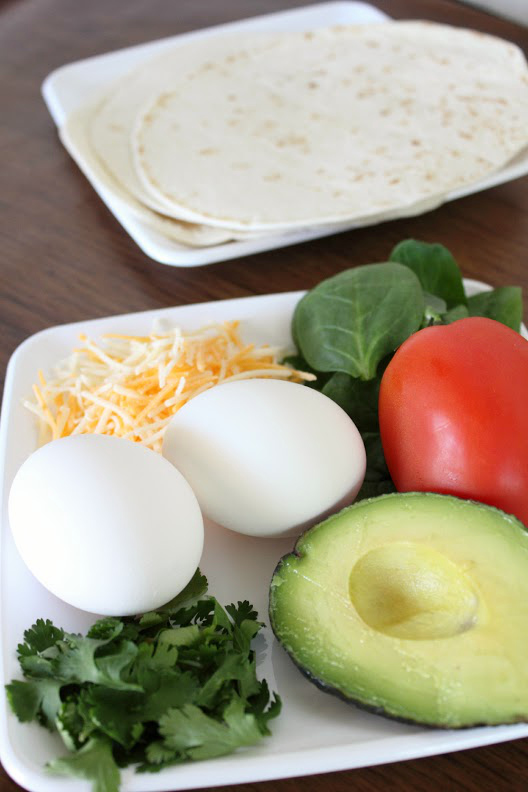 Divide eggs between the two tortillas. Immediately sprinkle with cheese so it will melt a little. Wipe out the skillet and return to heat. 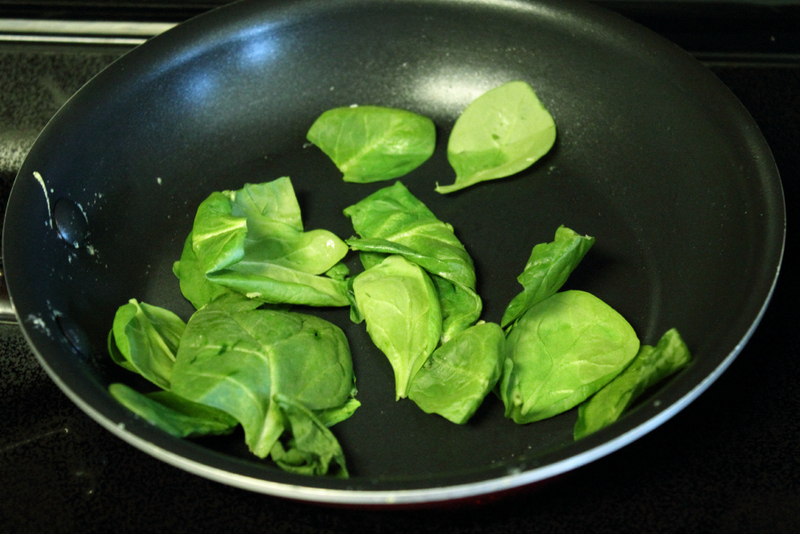 Add the spinach to the warm pan and move it around so it will wilt evenly. Once wilted divide between the two tortillas. Add the avocado and tomato. Remove the cilantro leaves from the stems and add to the tacos. This looks so yummy! Thanks for sharing with Sunday Features! Bekki, I think I could have one of these every day! They sound so good, and the colors are beautiful! Thank you so much for sharing this with us at Treasure Box Tuesday- pinned!